The Grammys – the best and worst dressed! Well here we are at the pointy end of the official awards season in Hollywood and we hit a night that never ceases to create a range of gasps and groans from the assembled media and fashion commentators. The Grammys have always been the one event on the awards calendar when you can be assured of some sensational looks from the women walking the red carpet along with some sensational style blunders. We have seen the high glamour of the Golden Globes, the gorgeous dresses at the SAG awards, the more formal at the DGA’s and the PGA’s and now we hit the fun and the fanciful that only the music stars can bring to a red carpet at the Grammys. This is the time for the music industry, along with a few Hollywood superstars, to walk the red carpet and take centre stage. This is a red carpet that allows for real individuality to shine through because performers are not bound by all of the usual expectations of an event such as the Golden Globes or the Oscars. This is when we see some real fashion excitement with women prepared to push the boundaries a little more than they would at other award ceremonies. 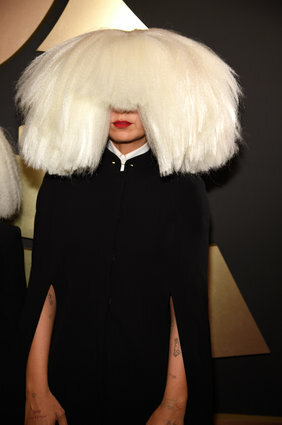 But along with the boundary pushing always comes a few stand out mistakes, whether it was Madonna in an age in appropriate Givenchy Matador inspired creation or Sia hiding behind a large white cut wig, the misses were really misses but the hits were spread amongst a range of different women who walked the red carpet. There is always an element of each fashion commentators own likes and dislikes that come into play when judging a red carpets best and worst dressed, but hey that is what it is all about and whilst some artists made it onto the well dressed list they also made it onto the worst dressed list of other commentators. It really is all subjective and what I may love may not be what you think suits a certain star but here I go with my 5 best and 5 worst from the night…what do you think? Kat Graham made a statement and once again split the fashion commentators, many who just did not approve but I thought it was a whimsical, fun look for her and that it worked really well! Taylor Swift split the fashion commentators down the middle with some calling her look, ‘prom inspired’ but I loved the outfit and the shoes were an inspired touch. It was so refreshing to see Nicole Kidman take to the red carpet in something appropriate for a music event and I bet she loved the chance to not have to do the long flowing usual dresses that are part of the other awards shows. She looked simply sensational and the straightened hair was also a big success. Lady Gaga is always a favourite of mine but she does usually push the envelope but this year it was understated elegance and it really worked well. Joy Villa was fantastic in this traffic stopping dress made out of that fabulous plastic you see at the end of a road that you are not supposed to enter…I loved the playful fun that she had with this dress! My 5 worst dressed at the Grammys! Madonna really missed the mark big time in this matador inspired Givenchy couture outfit…it did not work on so many levels! Sia has always been about mystery and is just not into fashion, but we get that! Surely a big white wig and a non descript cape where just taking it a bit far? I remember having one of these dresses as a toilet roll holder at my Mum’s when I was growing up. Rhianna usually either hits the mark big time or misses big time – this was a big miss, even if it was from Giambattista Valli. Charli XCX failed to impress me with this magicians outfit topped off with a pink fur…there was just nothing inspired or even fashion forward about it. Kim Kardashian was all about changing up her look in 2015 but if this is what we can expect, run for the hills. A gold dressing gown that is just simply awful! Now there were others who were equally good and bad but for me these were my 10 stand outs. I must however mention how stunning Kelly Osborne looked and also Beyoncé as well…both shone in their own way and they both nearly made the list but hey you have to stop somewhere otherwise both lists would be endless! Next up New York Fashion Week – but what’s next?